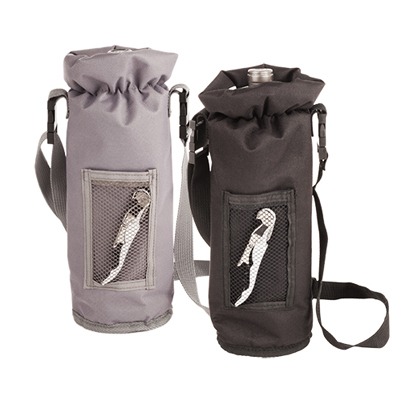 The Grab & Go Insulated Wine Bottle Carrier keeps wine or champagne cool and protected for the journey. This single bottle wine tote includes a Truetap corkscrew so that you can pop open your bottle when you reach your destination. Suddenly, the world is your tasting room.